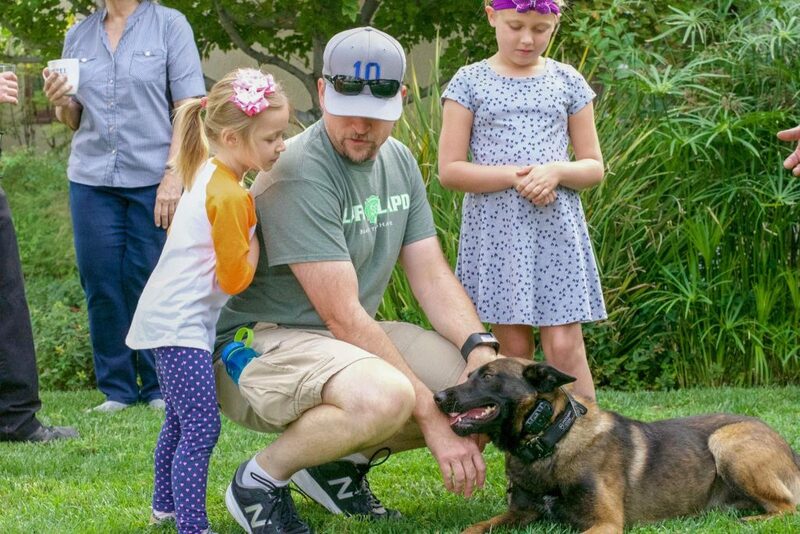 CASH, the new “Demo Dog” of the LAPD Metro K-9 Platoon, made a recent appearance at our First Annual Pancake Breakfast Fundraiser, held October 6, 2018 in Woodland Hills, California. 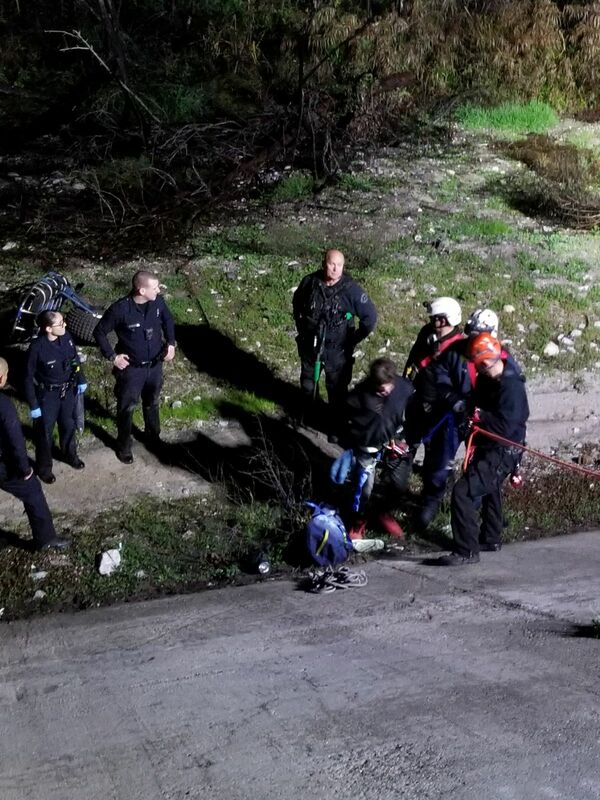 He was handled by LAPD Metro K-9 Chief Trainer Sgt. Michael Goosby. 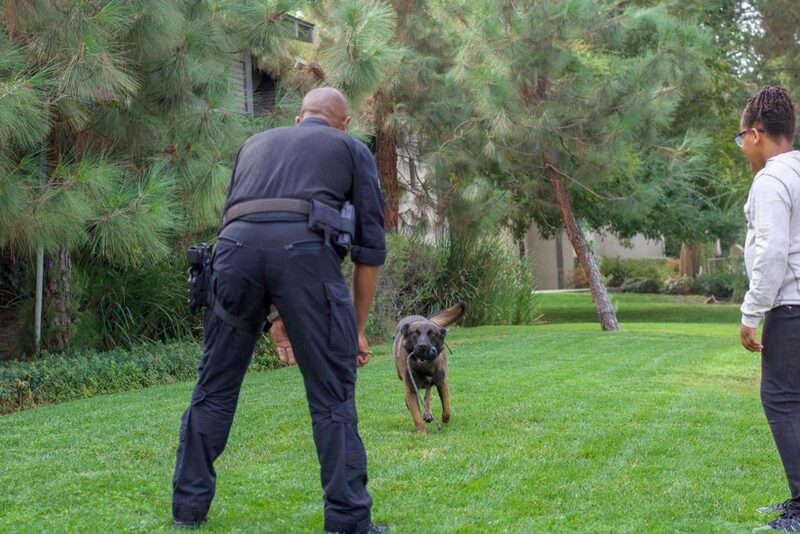 Taro, trained to find guns and explosives, pays attention to his handler, Officer Jerry Fritz. 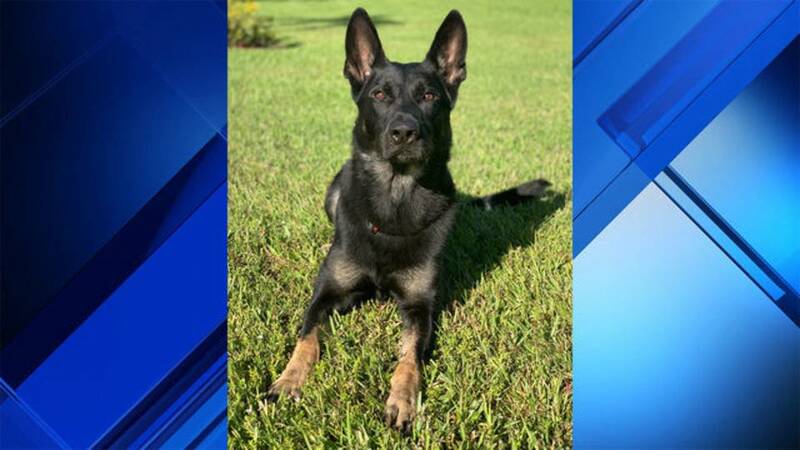 A few minutes later, he found a gun that had been hidden in the bushes. 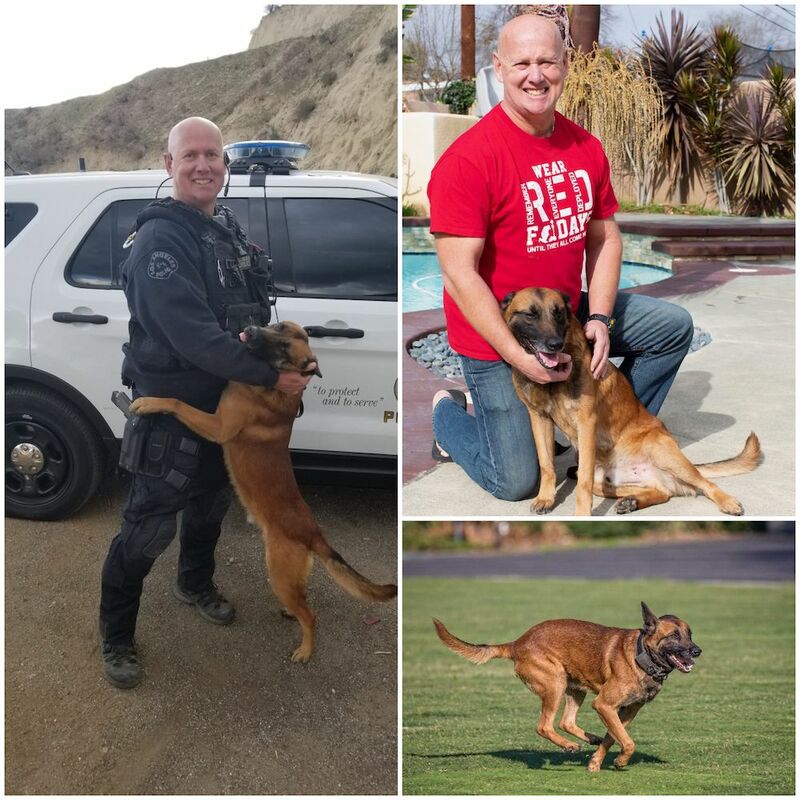 Taro is one of 13 dogs on the current Metro K9 Platoon roster that were purchased and donated by the Los Angeles Police K9 Fund! The toy in Cash’s mouth is what motivates him to perform as asked. 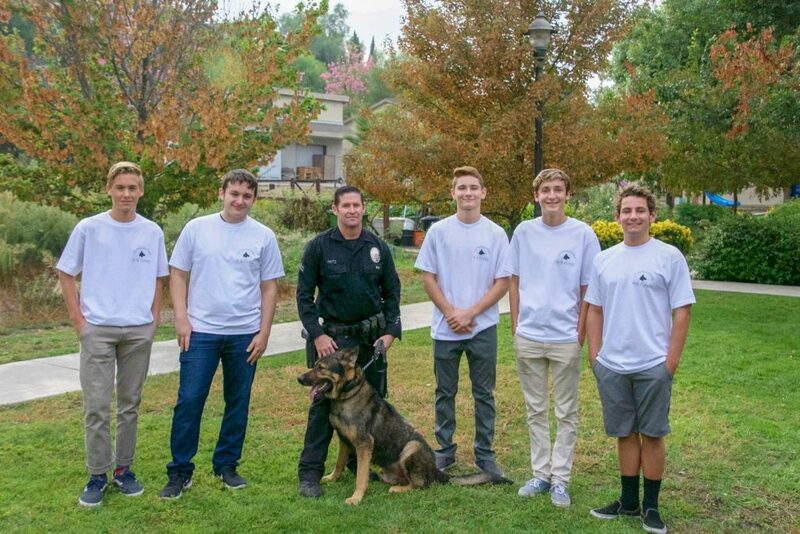 Students from Chaminade and Palisades High Schools earned community service hours when they helped us out at the Pancake Breakfast. They were helpful and enthusiastic and eager to come back for our next event! 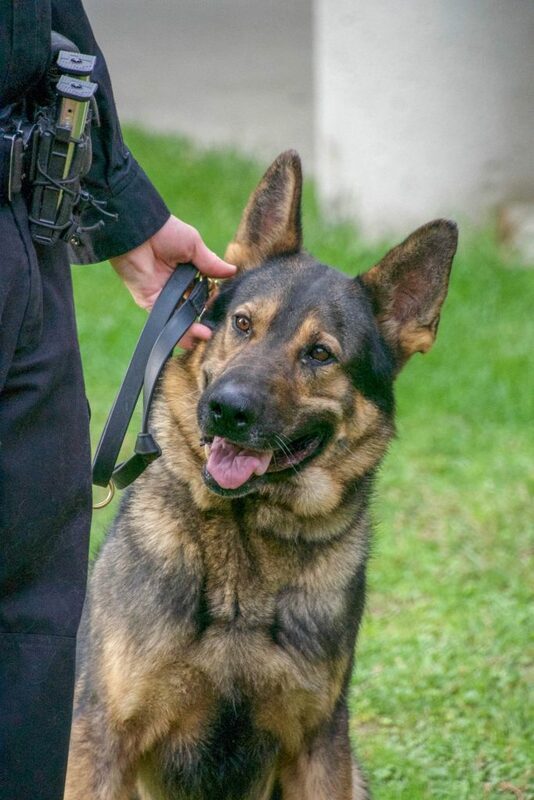 Cash is specially trained so that the public can safely enjoy hands-on interactions with him. 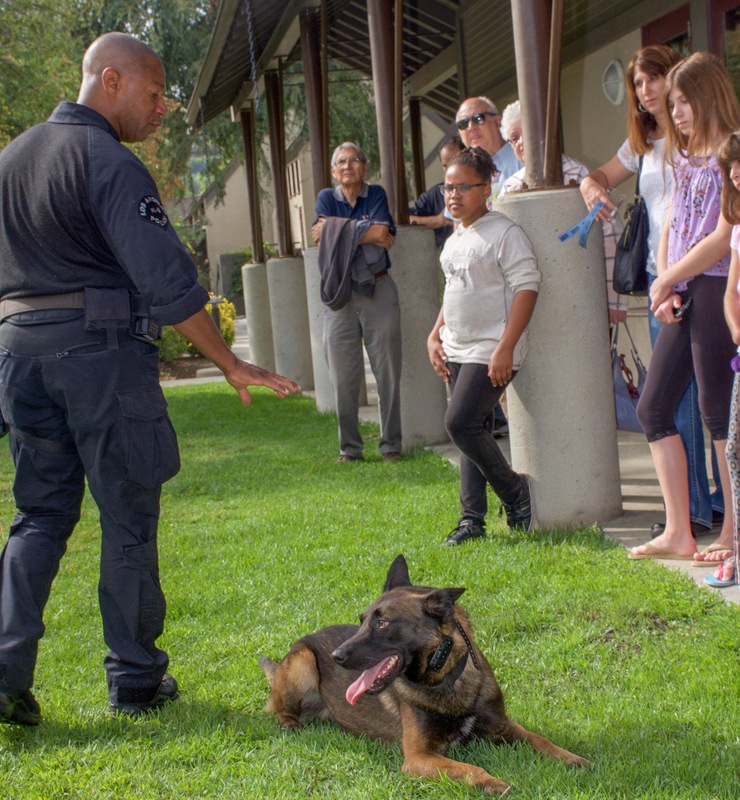 For reasons of training and safety, most of the police K-9s do not interact with the public in this manner.